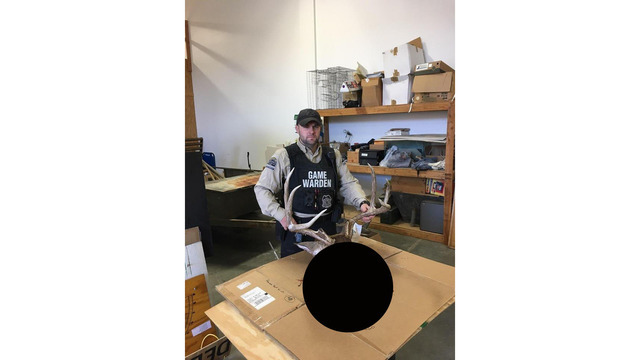 LINN COUNTY, Kan. (KSNW) - A poacher is facing charges after Kansas game wardens discovered an illegal kill of a buck in November in Linn County. The department posted about the incident on their Facebook Page. "We love it when we spoil a poacher's plan," read the post online. Authorities say game wardens laid in hiding on November 26 waiting for the poacher to claim his illegal take. When the poacher got to the scene, a USFWS Refuge Officer and a Kansas Game Warden greeted the man. According to authorities, multiple charges are now pending in Linn County related to killing a trophy class buck with a rifle during closed firearms season. The poacher also did not have a deer permit and he was hunting on private property without permission.